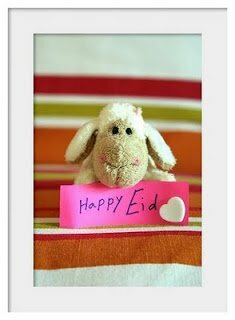 You are here: Home » Children » Eid-ul-Adha is coming! Only about 4 and something weeks to go till Eid-ul-Adha! It is usually a less-celebrated Eid compared to Eid-ul-Fitr, but this year (and next) is crucial as it is the only Eid we will be celebrating while children are in school (for those in the UK at least!). Over the next few days, I will be posting several ideas we can implement to maximise this opportunity Inshallah!